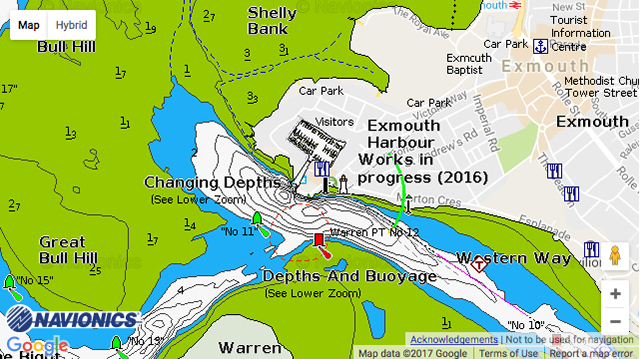 Exmouth Marina: Exmouth Marina is situated in the North West corner of Lyme Bay, along the world famous Jurassic Coast line. The marina’s location allows boat owners and keen sailors access to fantastic sailing all year round on the Exe estuary and with many other harbours to visit within a few hours travelling. Exmouth is an idyllic location with two miles of golden sand and a lively town. The Exe estuary offers stunning scenery and many leisure activities such as bird watching and water sports.